Each Guest Room at The Majestic Hotel exhibits a different and unique design. We assure that our regulars are not bored by the same decor each time they arrive and in-case they prefer a particular room, it is blocked at their behest to ensure the personalised touch that we provide. As the name suggests, our premium rooms are an upgrade from the norm and a come equipped with the LED Tvs and a Mini-Fridge in addition to our other room amenities (Wi-Fi, Acs, Digital Cable, Bathroom amenities, etc). These rooms are designed to give our guests a fresher feel and a sense of granduer while enjoying their stay with us in Shillong. The Suites rooms are for guest who would not mind spoiling themselves for more space and comfort or simply wish to experience the best at The Majestic has to offer. Our Executive Rooms are ideal for guests wanting a mix of luxury, comfort, facilities and budget. Excellent, comfortable stay, a lot of help from staff, service very good! Absolutely appreciate the warmth and hospitality extended to us. It will always make us want to come back and stay here everytime we are in shillong. Cheers and always the best! 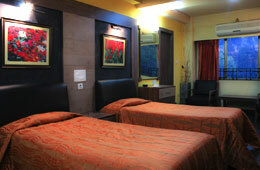 Very comfortable stay, great team of staffs charmed with their warmth, homely service also makes it feel homely! It’s always a delight visiting Shillong. I am very happy this time accepting the hospitality of Hotel Majestic. I am greatly impressed by the maintenance and service of this hotel. My hearty compliments and thanks to the management and staff! The candle light dinner arrangements was awesome. The people are helpful & friendly and that to me makes a place special! Lovely service, Beautiful ambience. Thankyou for making my visit memorable, Best Wishes!